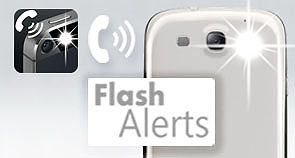 "Flash Alerts" is now available in google play. get it for FREE now ! LED Flash notify! The feature was not available for Android users in the meantime. Please install the Flash Alerts now that the iPhone's LED flash notification feature can be used even in Android phones. Open as many bottles as possible. Very easy, lots of fun, highly addictive. Challenge to become an Opener Master!